We love to hear about new schools making green cleaning work for their communities—and finding innovative ways to do so. 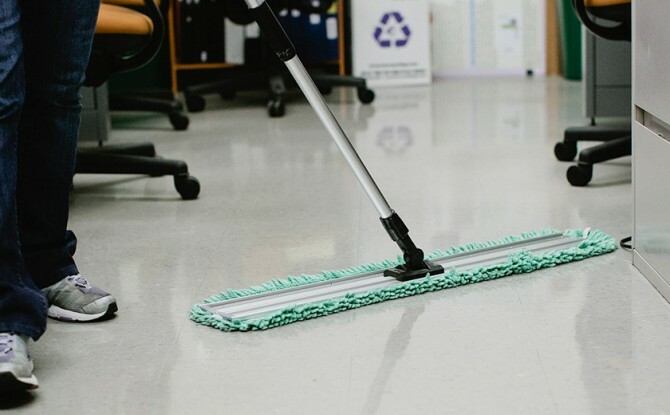 Blount County Schools, a rural Tennessee school district 20 miles south of Knoxville, with more than 2 million square feet of buildings and 11,000 students, has made significant changes to its cleaning program that have helped keep its buildings, people and environment healthier than ever. We’re thrilled to report on their Green Cleaning Award Honorable Mention in the K-12 category! How did that conversation start? Farmer simply told his distributor’s sales rep that his team was interested in going green. The distributor then brought in a consultant who reviewed the school’s chemicals and processes and advised on greener choices. Next, that consultant helped the district set up two pilot sites. The consultant met with the head custodians at those pilot sites, discussing in detail the changes that were going to be made and still comes in twice a year to conduct in-depth training for all custodial staff. “We are very proud of the fact that we use green-certified chemicals except for our disinfectant,” says Farmer. “We also started a microfiber program and were able to greatly reduce the amount of floor finish and stripper used each summer by incorporating a floor care program into our daily routines.” In addition, the district switched to a chemical management system and has been turning over to water-charged equipment. Many schools don’t realize what a practical resource their suppliers can be for making green changes to their cleaning programs. These suppliers are motivated to help their customers find the best solutions for their environment and budget, and usually have someone on staff with extensive knowledge and training in green cleaning. Distributors almost always offer supplementary help in the form of program assessment, planning, education and training, free of charge. All a school needs to do is ask.